FBLA partners with numerous organizations to create and promote educational programs and curriculum. This content provides members with unique opportunities to practice the skills and knowledge they are learning in their college coursework. If you have additional questions or would like to provide an educational program to PBL members, email Becky Grant. Founded in 1988, the Accreditation Council for Business Schools and Programs (ACBSP) is a global business education accrediting body and the only organization to offer accreditation at all levels of business educational degree programs from associate to doctoral. ACBSP ignites a standard of excellence with an accreditation process based on the Baldrige Education Criteria for Performance Excellence. By evaluating aspects of leadership, strategic planning, relationships with stakeholders, quality academic programs, faculty credentials, and educational support, ACBSP assesses whether or not business programs offer a rigorous educational experience and commitment to continuous quality improvement. ACBSP was recognized by the Council for Higher Education Accreditation (CHEA) in 2001 and again in 2011. Its mission is to promote continuous improvement and recognize teaching excellence in the accreditation of business education programs throughout the world. We’re ThisWayToCPA, the go-to destination for information and inspiration at each step on your way to becoming a CPA. Everything we do is brought to you by the AICPA, the world’s largest organization that supports and advocates for the entire CPA profession—and writes the CPA Exam. As a student, you can join the AICPA through ThisWayToCPA for free. Get all of this and more when you sign up for free. The first program with learning that lasts. Our patented 10-week interactive “Road Test” is an online game played in real time that simulates the financial life of a working adult. It does more than just explain financial concepts and warn of risk and consequence but provides a place to gain knowledge and skill by practicing common financial transactions creating habits that help avoid real life costs and credit damage. Our online “written test” provides current and relevant material on fast changing financial topics. Teacher accounts are always free. Sign up and create a class to play this fall. Use promo code #PBL2018 and pay only $20/seat. Learn more about Budget Challenge®. Capsim develops simulations that bring business learning to life. For over thirty years, Capsim has been a global leader in simulation-based technology that provides experiential learning opportunities to assess and develop the key skills that students need in today’s business landscape. As a result, we created our entry-level simulation, CapsimCore™, specifically with intro-level business courses in mind. CapsimCore™ allows students to experience what it’s like to manage a $40 million company in a fun and engaging simulated learning environment. While competing against their peers to become the market leader, students learn how four departments, R&D, Marketing, Production, and Finance, interact to run a successful company. Students put their skills into action by analyzing data, applying critical thinking to decisions, and reflecting on results in order to improve their business. Let’s get students learning by doing today. To request a demo, please contact Matthew Shell. Cengage is the education and technology company built for learners. The company serves the higher education, K–12, professional, library and workforce training markets worldwide. Cengage creates learning experiences that build confidence and momentum toward the future students want. The company is headquartered in Boston with an office hub in San Francisco. Employees reside in nearly 40 countries with sales in approximately 165 countries and territories around the world. Having issued more than 160,000 professional certifications and trained more than 1 million students and professionals worldwide, CIW offers the world’s fastest growing vendor-neutral Web technology education and certification programs for students and professionals. More than a certification or a curriculum publisher, CIW has become the educational standard adopted by thousands of universities, colleges, high schools, businesses, and government agencies worldwide for Web technology skills. CIW includes applications and competencies, but the core curriculum focuses on the foundational standards of the Web, including Internet business, networking, Web design, Web development, and Web security. Headquartered in Tempe, Arizona, with satellite offices in Ireland and Japan, plus a worldwide reseller network, CIW products bring learners of all ages the knowledge and skills essential to success in the modern workplace. Visit http://www.CIWcertified.com for more information. The March of Dimes and FBLA-PBL have teamed up to become involved in the service learning movement that is sweeping the nation. This movement integrates classroom learning with community service, a process that career and technical education has traditionally developed and supported though its local and nationwide community service programs. Student achievement is assessed on related projects as an integral part of the curriculum. IMA® (Institute of Management Accountants) is one of the largest and most respected associations focused exclusively on advancing the management accounting profession. IMA supports students through leadership opportunities, the CMA® (Certified Management Accountant) program, networking, IMA’s Student Leadership Conference, IAHS (IMA Accounting Honor Society), and more. Spend 8 weeks in the nation’s capital with students from around the country and world who are all interested in the legislative process and learning about business and regulation. The intensive schedule is designed to maximize your time in Washington by combining learning in the classroom with practical internship experience. The Institute on Business and Government Affairs (IBGA) will give you an insider’s view of Washington. The comprehensive package includes a guaranteed internship placement, courses for transferable credit, furnished housing, a variety of guest lectures and briefings, as well as opportunities for professional development and networking. Learn more and begin an online application. The International Accreditation Council for Business Education (IACBE) exists to promote, develop, and recognize excellence in business education throughout the world. We are certain that you will find that our distinctive approach to accreditation, our member services, and our professional development opportunities offer significant advantages to student-centered institutions of higher education around the world. Visit IACBE and learn about our unique value proposition for advancing academic quality in business education. JobTarget is the leading provider of Internet job boards and is the technology provider of choice when it comes to recruitment and career solutions. They host a job board on our site where students may post their resume for free. Visit the Job Bank to complete your free resume and learn about additional benefits. Inspire your students by planning an exciting and educational trip to New York City, Chicago or Atlanta. Sponsoring a business related tour to any of the any of these cities is the best way to boost the enrollment and spirit in your FBLA chapter. Junior Tours will arrange an all-inclusive tour packages at an affordable price. Chaperones travel free. The Mission of the March of Dimes is to improve the health of babies by preventing birth defects, premature birth, and infant mortality. Together, March of Dimes and FBLA-PBL are fighting premature birth. It’s the #1 killer of babies and it costs American businesses $12 billion annually. For 40 years, FBLA-PBL and the March of Dimes have partnered to raise money in support of the March of Dimes’ mission and to date, FBLA-PBL has raised over $15 million. As an incentive to chapters, the March of Dimes provides national awards to the FBLA-PBL chapters and states that raise the most money. In addition, the March of Dimes provides grants to states and chapters seeking assistance for a March of Dimes activity/project in support of the March of Dimes partnership; and to identify and support innovative ideas and projects that enhance the growth, recognition, and support of FBLA and the March of Dimes partnership. All states and chapters are eligible to apply for a March of Dimes grant. Grants may not be used for equipment purchases, they are designed to support programming or activities to enhance our partnership with the March of Dimes. Program or activity grant proposals must be designed to be accomplished by December 31, 2019. Grant recipients must complete an outcome-based project report that can be submitted to the March of Dimes and are encouraged to have it be in the form of a workshop, article, or project that can be reproduced and shared with other chapters and states (recipients will have 18 months to complete a workshop, article or project). Local chapters may receive grants up to $1,000. State chapters may apply for grants up to $2,500. Applications will be evaluated by a panel of judges and acknowledged at the National Leadership Conference. Grants must be postmarked by January 15. NAP is the largest professional nonprofit association of parliamentarians in the country. It provides education and training in using parliamentary procedure to facilitate fair and efficient meetings. The examination for membership is based on Robert’s Rules of Order in Brief (2nd edition) and is available online. National dues for full-time students are $37.50 and are prorated monthly. 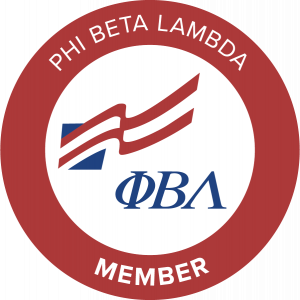 National and state dues must accompany your membership application. The National Technical Honor Society currently serves thousands of FBLA-PBL and other CTSO members while awarding over $250,000 in scholarships to members annually. NTHS honors the achievements of top CTE students, encourages the pursuit of higher education, and cultivates excellence in today’s highly competitive, skilled workforce. For over 30 years, NTHS has been the acknowledged leader in recognizing outstanding student achievement in career and technical education. NTHS partners with FBLA-PBL to provide scholarship opportunities to students who are current members of both organizations. Start a NTHS chapter today! Visit National Technical Honor Society. Students in the FBLA-PBL Stock Market Game (SMG) may work individually or in teams of two to five members to build and manage a successful investment portfolio of stocks, bonds, and mutual funds, using a hypothetical $100,000. They track their investments over the course of 15 weeks, receiving valuable opportunities to practice core math, English Language Arts, and research skills as well as fundamental business, economics and social studies content in a real world scenario. For details on the FBLA-PBL SMG program, login to the Advisers Area and click “Stock Market Game”. Game dates for the Fall 2018 SMG are 9/10/18–12/14/18. The registration deadline is 10/8/18. The Spring 2019 SMG dates are 1/22/19–5/3/19. The registration deadline is 2/19/19. The registration fee for an individual or team of two to 5 students is $10.95. Students will be ranked by division and winners will be publicized through FBLA-PBL. Tallo is an online platform connecting the next generation of talent (age 13+) with colleges and companies across the country. PBL members can join FREE and create a digital profile showcasing their skills, talents, and accomplishments. From there, they can share their profile, link up with mentors, and request the PBL Digital Badge to be recognized as an official PBL Member on Tallo. The Intern Group is one of the leading providers of international internships in Europe, Asia, Australia, North America and Latin America. They provide a fully inclusive program, so alongside an internship in your field, they also find your housing, provide social and cultural events, visa assistance professional development tools and a personalized career coaching session once you finish your internship. Climb the career ladder while traveling the world with The Intern Group. Practical Money Skills for Life is an award-winning, free financial education program offering resources to help consumers manage their money through all stages of life. Launched in 1995, the program reaches millions per year with its financial literacy curriculum, educational games, apps, monthly e-newsletter and free materials that cover a wide range of personal financial information.